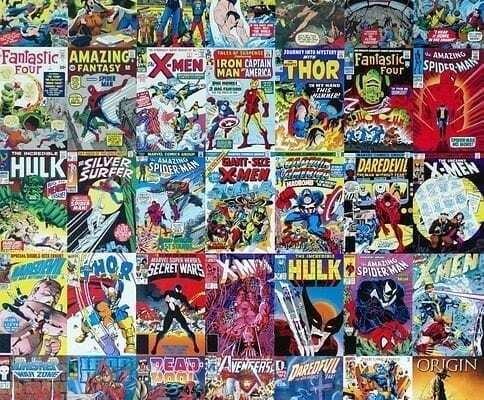 Comic-con, the grandaddy of annual comics conventions kicks off this weekend in San Diego. This sci-fi/animation mecca has cosplay contests, screenings, & countless panels with artists & showrunners. 130,000 + are expected to gather in the Gaslamp district for the three-day super-hero extravaganza. Expect Halloween in July as many will arrive dressed as their favorite comic character. 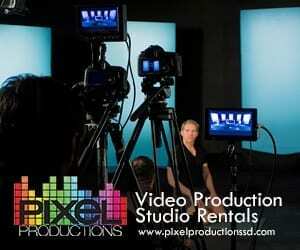 This year, we can expect to see resident host Conan O’Brien at the event, among many other famous actors and actresses who appeared on the big screen. If you’re not one of the few who snagged a Comic-Con badge when they went on sale in March, expect full mayhem in the Gaslamp district, and a weekend full of sunshine and people watching. Plus, San Diego doesn’t like to make anyone feel left out. That’s why there are a bunch of comic-con inspired events and activities to attend, no badge required! And for all the non-comic fans out there, we’ve got you covered. There is still tons to do this weekend in San Diego, so check out what else is going on. 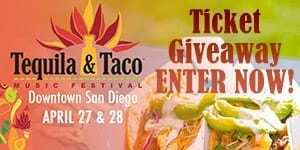 Taco Bell in The Gaslamp is launching a restaurant takeover at Greystone Steakhouse & Seafood, in honor of the Demolition Man movie’s 25th anniversary. Taking on a futuristic look with off-menu dishes from Taco Bell during Comic-Con, the space will be unrecognizable this weekend between July 19th – 22nd. Greystone’s Taco Bell pop-up event will be open from 6:00 P.M. to midnight with upscale variations of typical Taco Bell fare. Plus, all food is FREE, with no comic-con badge required for entry and exclusive Demolition Man merchandise for purchase. With more than 18 locations across North America, Bad Axe Throwing is opening its doors in San Diego July 20 – 22. The new 6000 sq ft location is located at 1019 Garnet Avenue, San Diego, California, and will allow for a capacity of 125 people. 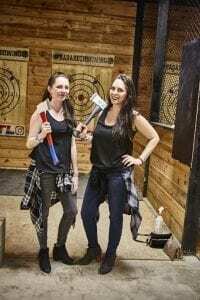 Bad Axe Throwing is hosting a FREE Grand Opening/Open House all weekend long. Plus, you can bring your own food and drinks. 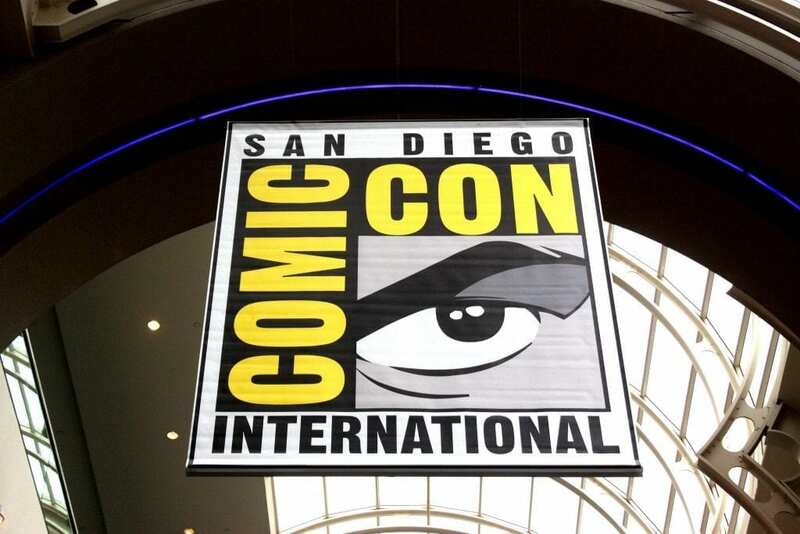 The Experience allows all of San Diego to enjoy the thrill and magic of Comic-Con – with or without badges. Head down to the Lexus Premier Lot next to Petco Park and the Convention Center to enjoy a 40-foot inflatable shark, bungee rides, escape rooms and a newly announced evening entertainment all weekend. Enjoy this rare Comic-Con open-to-the-public event that will feature lots of fun for the whole family, and some great photo ops, including Discovery Channel’s 40-foot inflatable “Sharkzilla” chomping on beach chairs and the ever-so-popular Jurassic Park Jeep Wrangler. Kick off your summer weekends in style every Friday evening at Balboa Park’s hottest after-hours event from 4-8:30 pm. 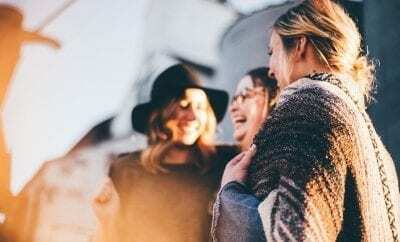 Visitors of all ages can enjoy live entertainment and activities for kids while eating gourmet dishes from a rotating selection of more than a dozen popular food trucks parked on the Plaza de Panama and El Prado walkway. Throughout the summer, Food Truck Fridays will present different musical performers or DJs each night in the Plaza de Panama. Tyga will be performing at Parq nightclub in the Gaslamp district. His major label debut Careless World: Rise of the Last King, includes the singles “Rack City”, “Faded” featuring fellow Young Money artist Lil Wayne, “Far Away” featuring Chris Richardson, “Still Got It” featuring Drake, and “Make It Nasty”. General admission is $20. Get your tickets here. Channel your inner superhero at Gaslamp District hot spot, where the cocktails are inspired by all the best cape-wearing characters. Sip on the Star-Lord, the official cocktail of Comic-Con, made with Pimm’s #1, Bruised Basil, Pressed Lemon, and Pickled Carrot Extra Special Sipsmith Gin, or cheers with the Black Panther, made with Maker’s Mark Bourbon, Blackberries, Mint, and Lemon. You can also boom, smash, and ka-pow with superwomen beverages like The Wasp made with El Silencio Mezcal, Peach, Lime, and Terragon, or Black Widow made with House Infused Red Wine, Peach Schnapps, Triple Sec, and Fresh Fruit. Dance to the rhythm of reggae with Iration at the Del Mar Race Track. The performance will begin shortly after the last race of the day at the Seaside Stage. All concerts are 18 and up and free with the purchase of standard $6 racetrack admission. Thirty Seconds to Mars is touring in support of their upcoming fifth studio album. 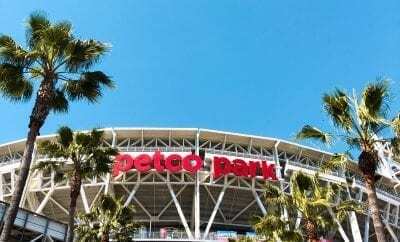 They will be making a stop in San Diego and performing at thee Mattress Firm Amphitheatre at 7;30pm. The bill includes Walk The Moon, K.Flay, and Welshly Arms. Get your tickets here. Rooftop Cinema Club will be showing The Notebook at 6:30 pm atop Manchester Grand Hyatt San Diego. With its stunning views of the city from every angle imaginable, Rooftop Cinema Club is revolutionizing the movie-going experience in its unique and one-of-a-kind setting underneath and among the stars. Open to adults 18-and-over. Ticket prices start at just $17 per person for a single deck-chair underneath the moon and the stars. Get your tickets here. A young immigrant comes to a tenement in Queens. She befriends the landlord.”The old brownstone reverberates with the fierce, proudvoices who preceded them.” Carey Perloff directs. 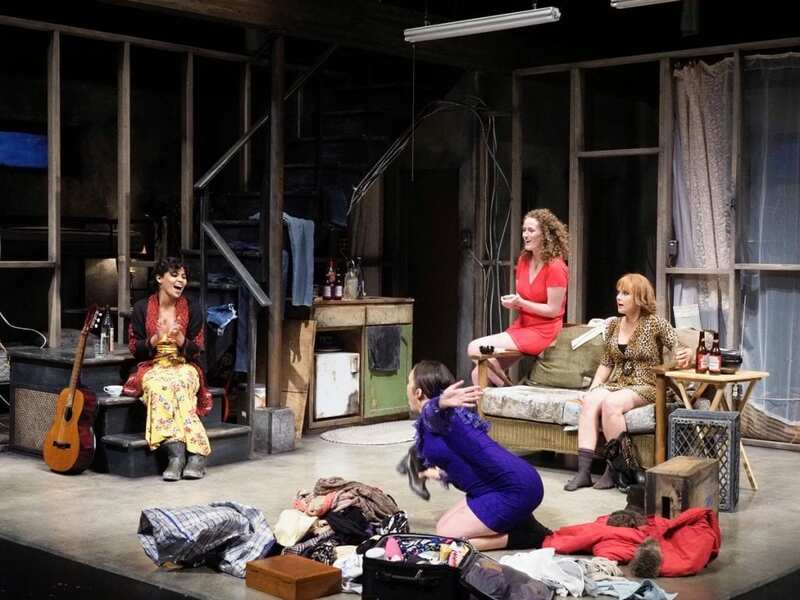 This exquisite new play from 2018 Pulitzer Prize winner Martyna Majok is a moving study of the things we run from and toward, and the people who shepherd us along the way. Get your tickets here starting at $20. Enjoy Night Fishing at Lake Poway every Friday and Saturday night until September 1st. The lake will be open until 11:30 pm and boats can stay out until 11:00 pm. The lake is open Wednesday-Sunday for boating and fishing. The Entry Station will charge a $10 parking fee for all non-Poway residents on weekends and holidays. Lake Poway’s gates open at 6:00 am daily and are closed and locked at sunset. Brunch will take place from 11:00am – 4:00pm at Tin Roof. Make sure to wear your favorite cosplay, costume, or character. There will be Djs playing house & techno music and amazing brunch selections. Plus, $15 bottomless mimosas. Enjoy a free, hour-long organ concert Sunday at Balboa Park’s famed Spreckels Organ Pavilion beginning at 2:00 pm. At the keys, the audience will find Raul Prieto Ramirez, the city’s newest San Diego Civic Organist and Artistic Director of the Spreckels Organ Society. Watch the Tempest at the iconic Old Globe Theater in Balboa Park. Prospera, the Duchess of Milan, lives in exile on a desert island after being thrown out of power by her wicked brother. For company, she has only her daughter Miranda, the spirits who are native to the island, and her beloved books. The books are the source of her dark magic, which she uses to lure her enemies to the island so she can exact revenge. But her plot could destroy Miranda’s happiness, so Prospera must choose between her own anger and her daughter’s future. Under the direction of the renowned Joe Dowling, this enchanting fantasy kicks off the 2018 Shakespeare Festival with spectacle under the stars. Get your tickets here starting at $30. The Upper East Bar atop the trendy Kimpton Solamar Hotel will be hosting their Escape Sundays event from 12-5pm, a relaxing poolside rooftop experience complete with a live DJ. Enjoy all-day food & drink specials, including $5 draft beers. Want to go with a group? Their dry Rose is just $20 a bottle. Enjoy the beautiful views that overlook Downtown San Diego.